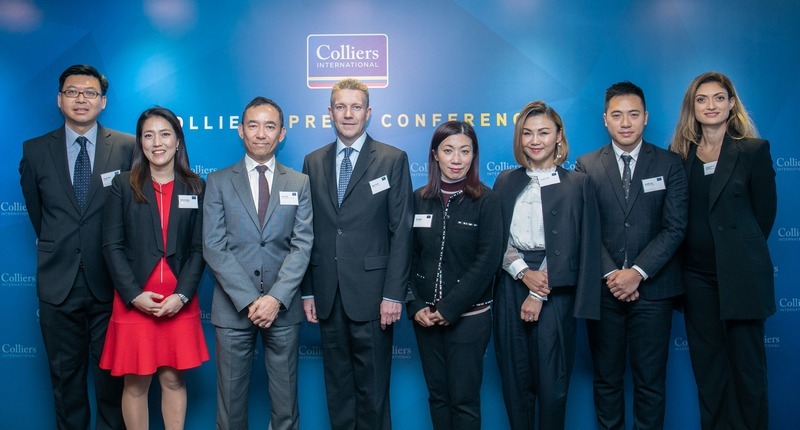 (15 January 2019, Hong Kong) Colliers International (NASDAQ: CIGI; TSX: CIGI), a global leader in commercial real estate services, has released its Hong Kong Market Outlook 2019 to evaluate Hong Kong’s property market over the coming year. The study explores factors affecting the Office, Industrial, Retail, Residential sectors as well as Investment Sales to forecast future performance. While the Hong Kong property market show signs of undergoing adjustments this year, Colliers does not anticipate a “gloom and doom” scenario. Although 2018 concluded with market sentiment skewing negatively and many investors taking a “wait-and-see” approach (see Colliers Annual Investor Survey 2018), institutional investors remain confident in the Hong Kong property market after two years of above average performance. “In 2019, we note that many investors are eagerly anticipating the outcome of US-China trade negotiations in early March, as this will play a critical role in shaping the city’s economic outlook. In relation to property, the trade war could have direct implications on industrial and retail property rent and price,” said Daniel Shih, Senior Director of Research, Colliers International Hong Kong. “With availability of liquidity and a moderate interest rate hike in 2019, investors will return once property prices stabilise. For those chasing upside, we believe that industrial properties have the largest potential based on an expected new round of industrial revitalisation,” said Antonio Wu, Deputy Managing Director, Capital Markets and Investment Services, Colliers International Asia. Supercharged by the revitalisation scheme, Colliers expects industrial rents and prices to continue to grow in 2019 amid a lack of new supply exacerbating imbalanced supply and demand. Between 2010 and 2016, industrial stock decreased by 15.9 million sqft (6% of total existing stock), while forced relocation and lack of new supply meant increases in rent and capital value. In 2018, this continued to hold true as industrial rent and capital value increased by 7.4% and 15.9% respectively. “Looking forward, the continuous conversion and redevelopment of industrial buildings for office, retail, hotel and residential purposes will sustain a further increase in industrial property rent and value. As more details of the revitalisation scheme emerge in 2019, many investors consider industrial properties to offer the greatest potential,” said Joseph Lam, Associate Director of Industrial Services at Colliers International Hong Kong. In 2019, Colliers expects a shift of momentum for Central/Admiralty with more office supply becoming available as PRC companies scale back expansion and vacate space. This slowdown could potentially bring the viability of co-working spaces for renters into the spotlight. “Rents in Central/Admiralty could drop by 3.8% in 2019, which is considered a healthy correction following an over 40% growth since early 2015. On the other hand, rents at Kowloon East would benefit from active pre-leasing activities in 2018 and a lack of new supply in 2020,” said Fiona Ngan, Head of Offices Services at Colliers International Hong Kong. For potential buyers, Grade A office prices still increased 20% year-on-year despite a slow last half of 2018. However, this year could prove to be the opportune time to purchase as Colliers expects office prices to drop by 5%. Colliers sees that the lack of quality office supply (especially in the CBD) and current market downturn offer solid investment opportunities in 2019, especially for end-users looking to occupy the space themselves. Overall, Colliers expects prime retail rents to grow below 2% in 2019 as they recover from a recent slump. Central is an exception that will remain under pressure due to its large shop configurations. “Key retailers continue to look for first tier high street locations, leveraging adjusted rental rates in the current shifted retail market landscape to cautiously expand. Shops that come with great street-front exposure are the most sought after, while retailers can compromise on shop size as smaller shops (sizes below 3,000 sqft) are the most popular and efficient to operate nowadays amid the growing influence of online shopping. For investors, neighbourhood shopping centres attached to new residential developments are an ongoing focus, as rental in these outskirt malls is only marginally increasing y-o-y, offering relatively attractive value-added opportunities,” said Cynthia Ng, Director of Retail Services at Colliers International Hong Kong. With Hong Kong’s record low unemployment and rising household income, Colliers expects local consumption to steadily rise in 2019. With this, F&B and premium labels will continue to expand their footprint in Hong Kong, while traditional luxury brands may not benefit as much due to dampened buyer sentiment. Though more tourists are expected to arrive via the new Express Rail Link and Hong Kong-Zhuhai-Macau Bridge, Colliers notes that mainland tourists may not spend as much in the short term due to China’s weakening economy and a possible depreciation of the Renminbi. After rising 576% from July 2003 to July 2018, residential prices have started falling from August 2018 and should continue falling into H1 2019. “We believe developers will continue to offer discount rates in H1 for as much as 15% off, but the price drop in the secondary market will be more moderate. A lower price level could drive up the transaction volume with the strong demand for housing in Hong Kong. We expect the market to stabilize in H2 2019,” said Hannah Jeong, Head of Valuation & Advisory Services, Colliers International Hong Kong. On the other hand, there has not been a quick fix for the land shortage problem which would keep property prices high in the medium term. If the government relaxes the loan-to-value (LTV) ratio for residential mortgage, the liquidity in the secondary market will increase, but it will not increase property prices significantly with other “demand management measures” still in place. “The leasing market should stay relatively firm and tenants are likely to be disappointed as residential rents in traditional luxury markets should stay relatively level. Expatriates can search for more affordable options in Kowloon and the New Territories as places to live following the expansion of the MTR network and new infrastructure, as well as new school campuses in Kowloon East and Sai Kung districts,” said Letizia Garcia Gasalino, Head of Residential Services, Colliers International Hong Kong. For the latest news from Colliers, visit HERE.